If you are looking where to print your company letterhead in Vernon then you are in the right place. Letterhead is one of the most important business essentials that any business in Vernon requires. Present your company to your customers in Vernon by sending them properly designed and quality printed letter on your company letterhead. 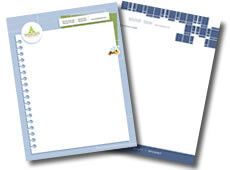 For our customers in Vernon we have developed few standard products for letterhead. Let our designers to put together a creative and unique letterhead for your Vernon company. Let us show you how creative design and quality printing can increase the response rate of your marketing efforts in Vernon and area. For more information about this product, pricing and options that can help your business in Vernon please contact us. We are always happy to assist you via email, on the phone or in person.